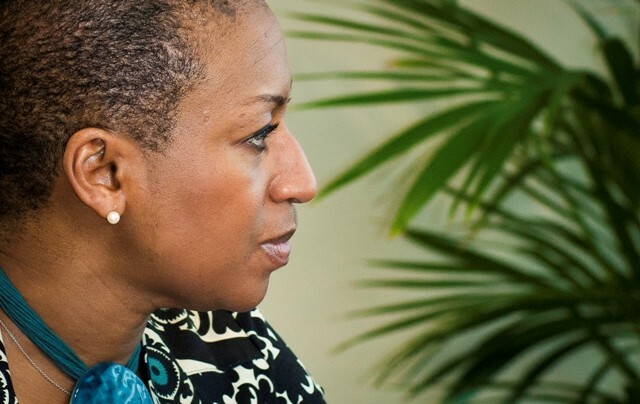 Listed by the Powerlist 2011, as one of the most influential black people in Britain, Sandie Okoro is the Global General Counsel for Barings, one of the world’s oldest and most prestigious financial institutions. The daughter of a Nigerian father and a Trinidadian mother, and in her 40s, Okoro is one of a few women currently functioning within the capacity of GGC, a much coveted role in the financial world. In 2005, she was named as one of the HOT 100 Lawyers by The Lawyer magazine. In 2009, Okoro was a shortlisted nominee for the In-house Lawyer of the Year at The Lawyer and in 2010, was one of the highly recommended nominees for the Legal Business Awards. In her own words, Sandie Okoro about her passion for a good challenge and why women must not view their careers as an option. Belinda: You knew you wanted to be a lawyer aged 9, but was told by a teacher “little girls from Balham don’t become judges.” What did that do your psyche? Sandie Okoro: It made me think they do now and because it was a teacher, I thought she doesn’t know that much. I might have had a very different reaction and taken it as factual if it had been a judge but I didn’t and I like a challenge. Belinda: What does your role as Barings Global General Counsel involve and what is expected of you on a day-to-day basis? Sandie Okoro: My overall job is to manage my company’s legal risk across the globe. You are looking at lots of different aspects of law across different jurisdictions and no day is ever the same. That’s what I like about it. I’m much more of a generalist than I’m a specialist. But I’m a generalist within the remit of financial services, so I understand the asset management industry, my particular area of expertise. Belinda: You went to work at Schroders, an asset management institution, at 25, did that overwhelm you or did you view it more as a challenge? Sandie Okoro: Throughout my career, I have never thought and seen things that way. It’s only afterwards that I say I should have given this some more thought. When I went in at 25, straight after qualifications, it was in the capacity of a management role, managing a team of 6-to-9 people. This was right after ‘Big Bang,’ when London’s financial services went through deregulation and significant changes. There were lots of opportunities as a result, I landed this great job and Schroder’s was a great organisation to work for. Belinda: As in-house lawyer at one of the world’s leading asset management institutions, you manage a team in London, Boston and Hong Kong. How challenging is it to manage all three jurisdictions on different continents? Sandie Okoro: It’s challenging but I like a challenge. I think I work in one of the most interesting profession and with one of the best asset managers. I have done that with Schroders and Barings, and that’s quite something. I have always worked with great people, real teams and I really enjoy my job, otherwise, I wouldn’t do it. In terms of managing people in other countries, I visit at least once a year and the important thing with all of these is good communication and people you can trust them to get on with it. If you are delegating responsibility, which you have to do due to different time zones and offices, you must delegate properly and cannot be a micro-manager. That’s the secret, not being a micro-manger, hiring the right people for the job and letting them get on with it. Belinda: You talk about your love for a good challenge. Where does that mindset come from? Sandie Okoro: I had a formidable and interesting mother and a laid-back father, and my mum always told me I could do anything I wanted to do. I have always disliked injustice and I grew up in a time when you were fighting against apartheid, racism and there was a lot going on in my formative years about the struggles of other people in different places. So, I got involved in all those sorts of things. It’s really important to have a voice and some people don’t have a voice. That’s why I have always liked a challenge. Belinda: There has been a debate about the introduction of quotas to enable women break into prominent directorial roles, what are some of the hurdles still preventing women in some sectors from high profile jobs? Sandie Okoro: It’s very difficult and I think it’s a combination of: the hurdles are there, so deal with it and work out how you can get around it and don’t put hurdles in front of you which may not actually exist. It’s very difficult for women to have a family and a full-on working life but I don’t think it’s impossible. You have to be very organised, don’t worry about it, get on with it and do it. That’s my theory. I understand the debate about quotas and one viewpoint, I would put forward is that one of the benefits of quotas is it allows you to get in the room and prove yourself which you might not get without the quota. But the quota doesn’t mean you are going to stay in the room if you are no good and that’s the absolute truth because they have got other pools of women to pull from. Also, rather than quotas, look at the criteria for entry into these boards and see if it’s actually excluding women inadvertently. I would suggest that women lawyers in the way that lawyers think and with training, would make excellent non-executive directors. Belinda: You are a strong proponent of diversity, what do the companies stand to gain if they learn and begin to tap into that pool of people from diverse backgrounds? Sandie Okoro: If you are always recruiting the same types of people from the same types of background, you are always going to get the same kind of ideas and attitude perpetuates itself, and the problem with not having a lot of diversity is that it will stifle innovation. So with lots of diversity, you have lots of innovation and innovation is the future of everything. Diversity equals innovation. Belinda: You mentor youngsters, who want to get into City Law firms through initiatives like Seeing Possibilities? What’s the advice that you give them about navigating your way, once you get that break? Sandie Okoro: It’s a very simple idea. A lot of programmes that organisations have are outreach programmes. They get up and go to the student. So we thought, let’s bring them here. We give them a half-day and get the board to talk to them about the city in general, law as another career option and that they have to work hard, get good A levels, stop buying Nike trainers and Iphones, so they can study at weekends instead of going out to get a saturday job. They are so bright, come here with the best questions and leave with a different outlook and our aim was to change their mindset and its job done. They say charity begins at home, the excuses that we cannot find these people, I think they are not looking. Belinda: With increased tuition fees, how damaging could this be to the aspirations of young people from ethnic minority groups who have seen and heard you speak and had aspirations to achieve the same level of success you have? Sandie Okoro: My view is that there are two very different things here. I didn’t have to pay for my university education and didn’t have any of that burden. It was just a choice of which university I wanted to go to and what I wanted to study. I think the new system puts everybody on a level playing field to some extent because you are all paying and at the same time, there is a programme for repaying it afterwards. The real barrier is the attitude at home about taking on that debt. If you come from a background, where you are first generation going to university and there’s not a lot of money at home, the attitude of taking on £9000 debt even if you could pay back will be something that can put people off because we are of different mindset. It’s the attitude about the loan that you will find is going to be different in families, where they have been to university themselves and know the benefits in comparison to those going for the first time. That’s the disadvantage of why it worries. It’s not about the loan but why it’s worth building up that debt. Belinda: What do we as women need to take into account in our approach and negotiating skills where our careers are concerned? Sandie Okoro: I think the most important thing is the unpopular thing to say but I’m going to say it. We must not think that our careers are an option. The first thing is that if it gets too hard or difficult, we should give it up and try something else. Men don’t see it that way. Their job is to grow up, get serious, get a job and you work until you retire and there’s a lot of pressure on men. For women, it’s like, I have a family now, maybe I’ll give up but I think there has been a shift, which is that, it’s not really acceptable for women to get married and stop working. Everyone would think that’s a bit strange. It used to be like that but now it’s when you have children. So, there’s still a mindset that you don’t work after you have had children. In my background and in many similar backgrounds, my mother worked all her life. It wasn’t an option for her to work because my father was a teacher and he didn’t have enough money to support us in the lifestyle my mother wanted for us. Increasingly women are becoming and in some cases, the sole breadwinners, so many women are not seeing it as an option. When you have got it like that, you sort out the child care, you put food on the table and others things you have to sort out and you don’t feel guilty about it because you realise that if you don’t put food on the table, nobody else is going to. Belinda: This is not a work environment where things are handed to you, how do you stay one cut above the rest? Sandie Okoro: When I was called as a solicitor, the guy who was handing out certificates at the ceremony said something and I have never forgotten it. He said “as a lawyer, you need integrity and integrity is doing the right thing even when nobody is looking.” I think if you go by that in your professional career, personal, public and working life, you can’t go wrong. Belinda: What are some of your most significant treasured memories and achievements since you have been working in the city and for leading investment institutions/companies? 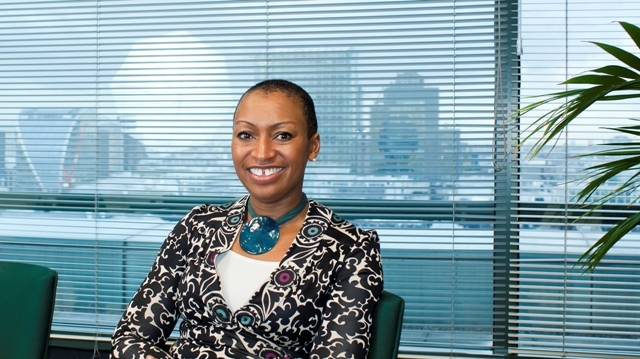 Sandie Okoro: I think being made a director at Schroders, three months after I came back from maternity leave when that had never happened to anybody in the history of Schroders. I’m pretty sure I was the first black female to be made a director at Schroders. They didn’t notice but I did and it took a long time to get there but I got there and I thought that was a great achievement. Getting the job at Barings was a great achievement, to go from one highly regarded and well thought of asset management institution to another, I think that is quite something and to go up as you do it. And every single time I mentor or talk to anybody and they say I have been able to inspire them a little, it makes all the hard work worth it. I know I’m still very ambitious and I still want to do a lot. There’s always a new dawn that burgeons, so I tend to think more in line with what my skillsets are and what I can bring as the future beckons. This entry was posted on Tuesday, July 19th, 2011 at 11:44 pm	and is filed under Africa, Black Britain, Business, Gender, Interviews, Journalism, Nigeria, People, Women. You can follow any responses to this entry through the RSS 2.0 feed. You can leave a response, or trackback from your own site. She’s very inspiring. Thanks for putting this interview up. I like to think that parents have a lot to do with the confidence they instill in their children from a young age. Her mother told her she could do anything in life, and she believed it! So when the teacher said otherwise, it didn’t faze her one bit. @ Favoured Girl, you hit the nail on the head…once they know from home that they can do it, it does not matter so much what the outside world says because there is someone at home, who keeps and will keep telling them, they can do it. Sandy baby, Na you biko. jisiike.